Innokin Kroma Review: Is the Innokin Itaste the right Box Mod for You? 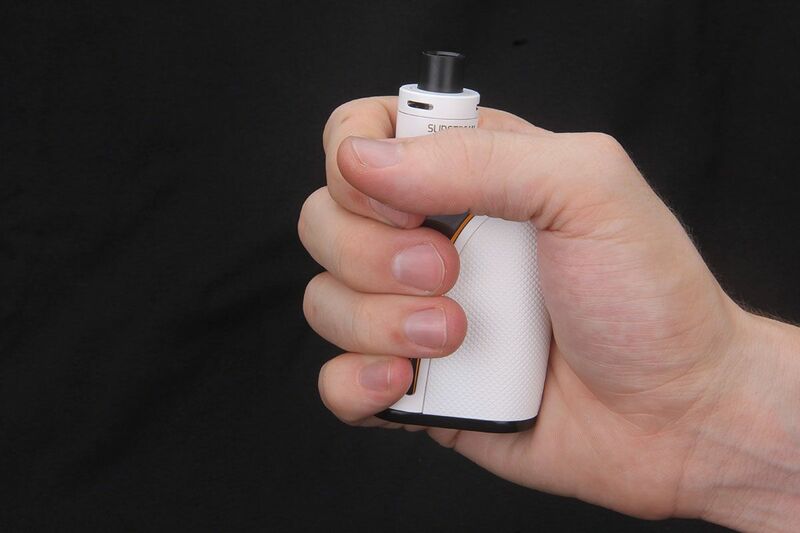 We’ve had a few people contact us lately asking for an Innokin Kroma review. Like a lot of people, we have a lot of respect for Innokin products, so how could we refuse? 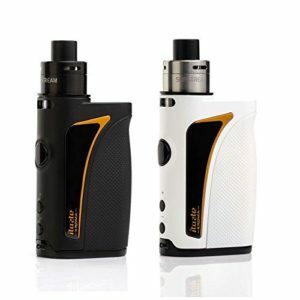 Innokin has a few different mod kits. The latest one one is the Innokin Itaste Kroma starter kit and it’s basically just a Kroma that’s been paired with an Innokin Slipstream tank. The size of the tank is not a wow factor, but the 2ml juice capacity should be fine for the average mod kit buyer. It’s actually quite a snazzy-looking piece of kit. It’s nice and light and the alloy body is encased in a textured plastic that make it easy to grip so, unless your a real butterfingers, you don’t need to worry about dropping it and damaging it on the floor. Temperature Control Mode: Ni (0.1-0.2 Ω), Ti (0.1-0.5 Ω), Stainless Steel 316L (0.2-1.0 Ω) coils are recommended (temperature Control is only available with T.C. compatible coils). Innokin’s been in the vaping game since 2011, so you’re not dealing with a newbie here. 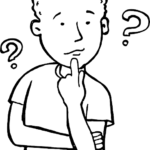 The Innokin brand name is respected all over the world and fact that so many people love their products suggests gives a little extra credibility to the company’s claim that they produce the “most advanced vaporizers in the world”. What Does the Innokin Kroma Cost and Is it Worth the Money? The Innokin Itaste Kroma starter kit usually retails for £30-£40, depending on which supplier you choose and, even at £40, it’s definitely worth the money. Most smoker are spending a lot more than that each week to damage their lungs with cigarettes. If you’re lucky, you may be able to pick up a starter kit from a local retailer. Failing that, you can buy an Innokin Kroma from Amazon and, if you’re ordering it as a gift, don’t forget to ask for Amazon’s free gift-wrapping. We are happy to say we can end our Innokin Kroma review on a positive note. It’s a compact, good looking device that feels good in the hand and is not too bulky to carry around in your pocket. It would have been nice if Innokin had thrown in some e-juice, but that’s cheap enough to buy and there are always some good deal to be had. The Innokin Kroma is good quality product that’s built to last and distributed by one of the most respected vaporizer manufacturers in the world. If you are looking for a good box mod, this one takes some beating.